Highland<sup></sup> Loading and Utility Ramps are made of high quality aluminum. The unique wide rung improves traction providing a 360 degree anti-slip surface to provide front to back and side to side traction. Designed with close rung spacing to support wheels of all sizes. Designed and built for function and safety. 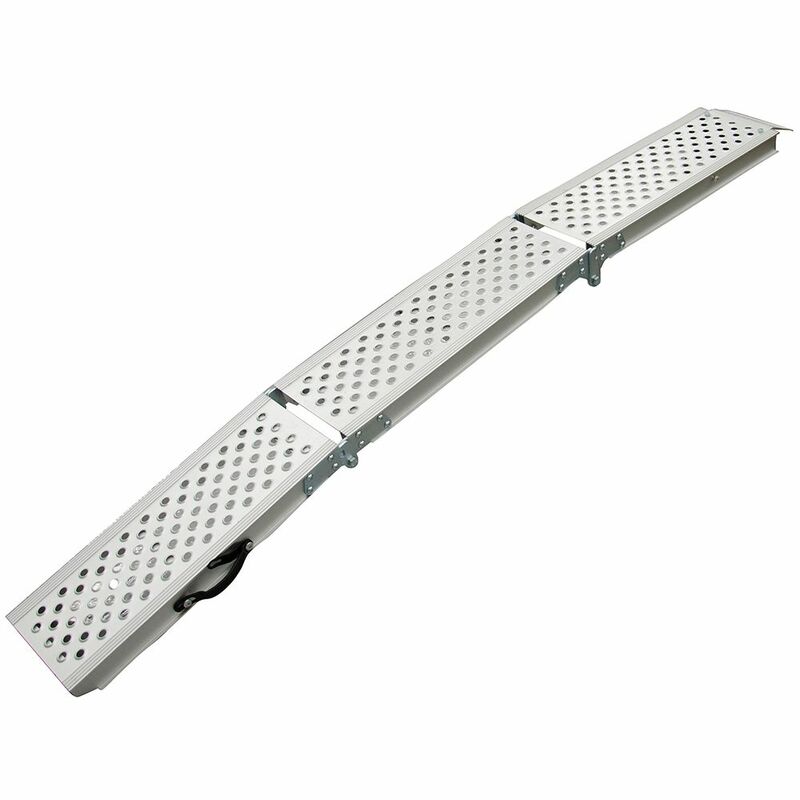 Pair Tri-Fold Aluminum Ramps 9 In x 72 In 1000 lbs per pair Erickson Manufacturing's TRI-FOLD Aluminum Ramp features an Anti-Skid surface. With the arched design it makes loading low clearance equipment easy. The 9" x 72" ramp folds twice for easy storage. Lightweight and compact with a carry handle makes lifting easy. Sold as a pair with a 1000 lb. rating per pair. Ramp is secured by included safety straps.